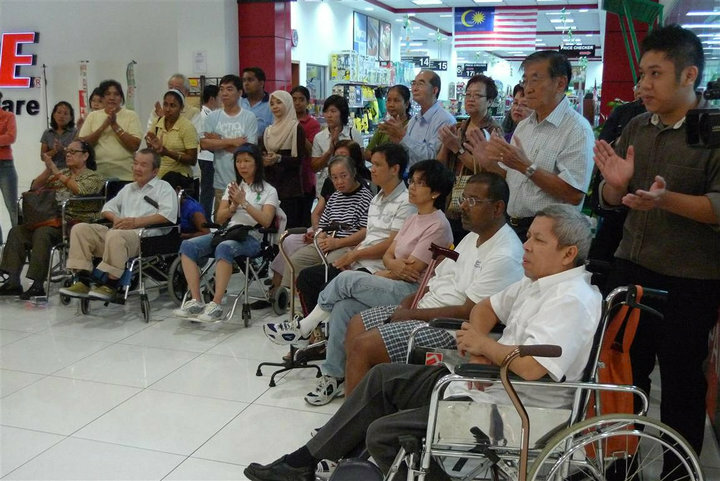 LoyarBurokker Woon King Chai’s opening note at the “A Wish Fulfilled” photo exhibition he organised for professional photographer and stroke victim, Uncle Hatim. His effort was part of the TLC’s drive to get youths to step to help fulfill one person’s wish through its “Promise Me” campaign. Good morning, YB Senator Gan Ping Sieu, Deputy Minister of Youth & Sports, distinguished guests, ladies and gentlemen. First of all, I feel so honoured to see so many of you here today. Many are familiar faces: friends, family, private donors, corporate sponsors and members of the public who have put in so much to help make today’s event a reality. Thank you very much for taking the time out today to be with us at this event. 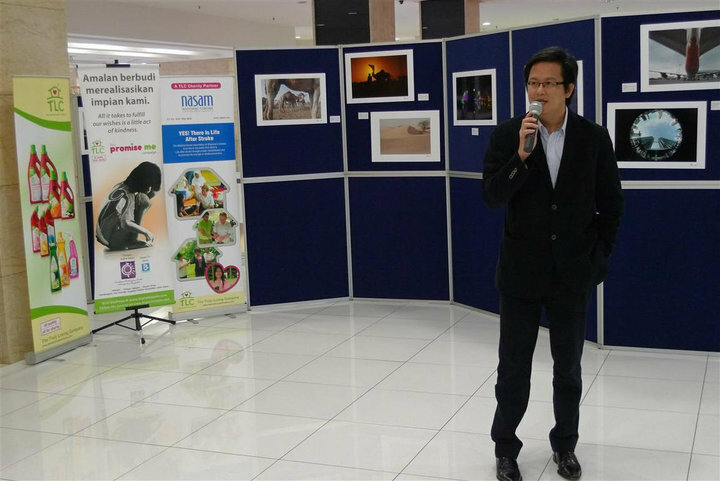 Today’s photography exhibition, titled Photography by Mohd. Hatim – A Wish Fulfilled is simply about the fulfilment of a person’s wish, to do what he loves again, photography. Mohd. 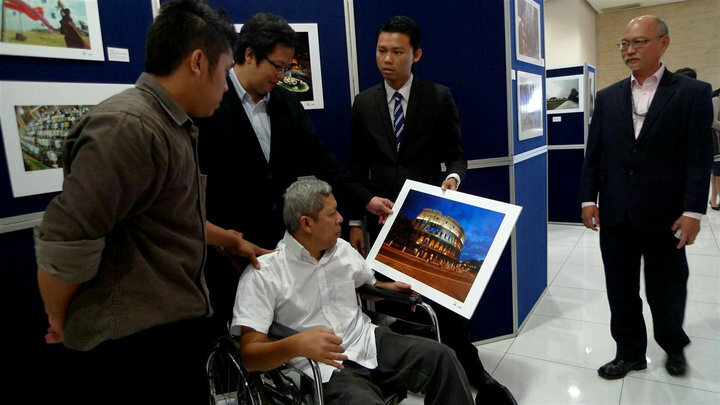 Hatim bin Bahari, prior to his stroke 7 months ago, was a distinguished photographer with Petronas for 19 years since 1992. He has participated in many assignments and projects abroad; from offshore rigs to the streets of Europe, and back to Malaysia again, photographing from coast to coast, wherever his life and job takes him. To a person who loves what he does – what’s the difference, anyway? 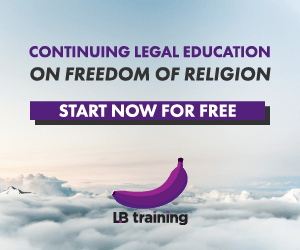 All of that changed when he was afflicted with an illness that many of us cannot even begin to imagine going through, and that has brought his career and passion in life to an abrupt halt. He has lost his ability to do what he loves most – photography. I am optimistic and I’m positively sure that Uncle Hatim’s recovery will continue smoothly and speedily. There isn’t much that I can do to speed up his healing process, although I very much wish that I could; but at least I have done my best in fulfilling just one of his many wishes in life. This celebration of Uncle Hatim’s talent and his photography exhibition is also for the other stroke patients who are also fighting the long and difficult battle of keeping one’s spirit up and to be motivated from day to day. My prayers are also with you and I hope that whatever little that I can give through organising this exhibition, will at least help to bring more public attention and awareness towards the challenges faced by stroke victims and families. With that hopefully, many more will take on more proactive roles in helping even just one person who is less fortunate. There are so many people that I would like to thank for making this event a success. 2. The Truly Loving Company – Especially to Mr. Jonathan Teoh for organizing this campaign and all the assistance and behind-the-scenes effort in making this event a success. 3. Jaya 33 Sdn. Bhd. – Management and staff for their generosity in allowing us to have the space for today’s event and to host our photography exhibition for a week. 10. Ladies and gentlemen who are all present here today to lend your support. Once again, thank you very much for being here and I hope that all of you will make yourselves at home here. Thank you for participating and have a nice day. We shall now have a tour of the exhibition together with Yang Berhormat Senator Gan and Mr. Hatim. We will have our press conference and light refreshments after the tour. LB: For more photos from the event please click here. To read more about King Chai’s experience from this click here. What a marvellous job you've done to help someone with talent. God bless you.